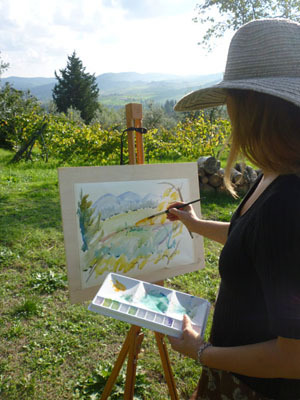 Ancora del Chianti B&B - Art Retreat in Tuscany is located in the Chianti area: a region widely known for its landscape, pleasant holidays in farmhouses and its famous wines. Ancora in Italian means "anchor" because this picturesque area of Tuscany has also been a point of departure and inspiration and homecoming for many famous people who have played their part in changing the course of history with their exploration, artworks and discoveries. 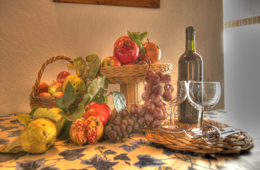 Ancora del Chianti is the place where to stay in Tuscany, be inspired and...come back! Here history is closer than expected: here you can see bithplaces, mansions, landscapes and fill immersed in the past. 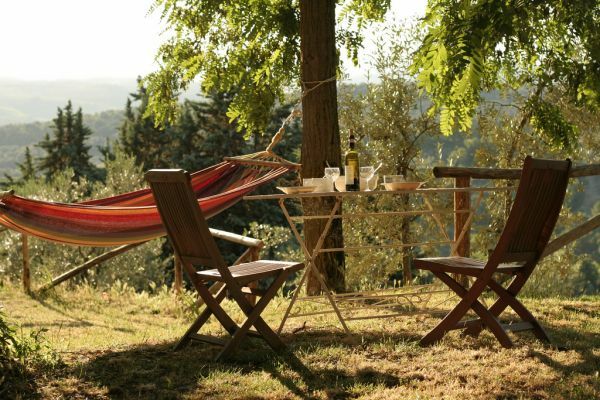 From the hilltop position of Ancora del Chianti Bed and Breakfast, you can admire every castles, villas, hamlets and villages in the Chianti Region described below. Giovanni da Verrazzano (Greve in Chianti, 1485 - Brazil 1528), appointed by King Frances I of France to explore the coast of Northern America and identify a crossing to Central and South America, discovered the bay of New York and the Hudson River in 1524, arriving as far as Novia Scotia. The Verrazzano bridge was so named in his honour and a statue in Battery Park was also dedicated to him, upon the base of which is written: "To Giovanni Verrazzano, the first citizen of New York". Amerigo Vespucci (Florence 1454 - Seville, Spain 1512) lived in Montefioralle and it is here where the last of his family line were laid to rest. Son of a Florentine lawyer, he moved to Seville in 1489 where he met Cristopher Columbus and assisted in the preparations for his third voyage. The importance of Amerigo Vespucci was in his written accounts and his insights, through which the people of Europe learned for the first time information on the new continent of America. Leonardo da Vinci (Vinci 1452 - Amboise, France 1519), famous Renaissance painter, architect, engineer and inventor. During his stay at Villa Vignamaggio between 1503-1506, as a guest of Florentine merchant Francesco del Gioccondo, he painted the Mona Lisa "La Gioconda", the only work the artist decided to take with him during his exile in France. Niccolò Machiavelli (Florence 1469 - 1527), Renaissance writer and historian who, on the Medicis return to Florence, retired to his estate in Sant'Andrea in Percussina, near San Casciano Val di Pesa, where he completed his famous work: "The Prince".